The ultimate goal for Nkole is to be able to run his own business. Together with a group of university friends, he has been dreaming and talking about ending up in consultancy business. But the hope is that the path to business ownership will involve an opportunity to work as a CEO of a big company. Nkole’s immediate preoccupation after graduation is to find a job, as a starting point. While he is keeping an open-minded approach to his job search, investment banking and economic development are his preferred sectors. Although the idea is in the backburner for now, he is thinking about progressing to a master’s degree in the future when his financial standing is more stable. In the meantime, being off school is allowing Nkole to pursue other interests such as abstract art and I.T whilst job hunting. 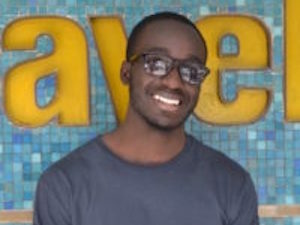 In terms of how he hopes a BBA degree will help him impact others, Nkole feels confident that by virtue of his achievements, others, especially within the extended family, will also get encouraged to pursue higher education. He is also sure that the Christian ethics acquired from Northrise’s Christocentric education will be positively influential in the places where he will work.